5 in 1 Professional System. Easy to Install. Our Component Video + Digital Audio, Composite Video + Analog Audio and IRRepeater system allows you to use a double Category 5e/6 cable to send HDTV+ Digital Audio up to 330 ft. It used in pairs and supports 480i, 480p, 720p, 1080i, and 1080p video formatsfor hi-definition (HDTV) video applications. 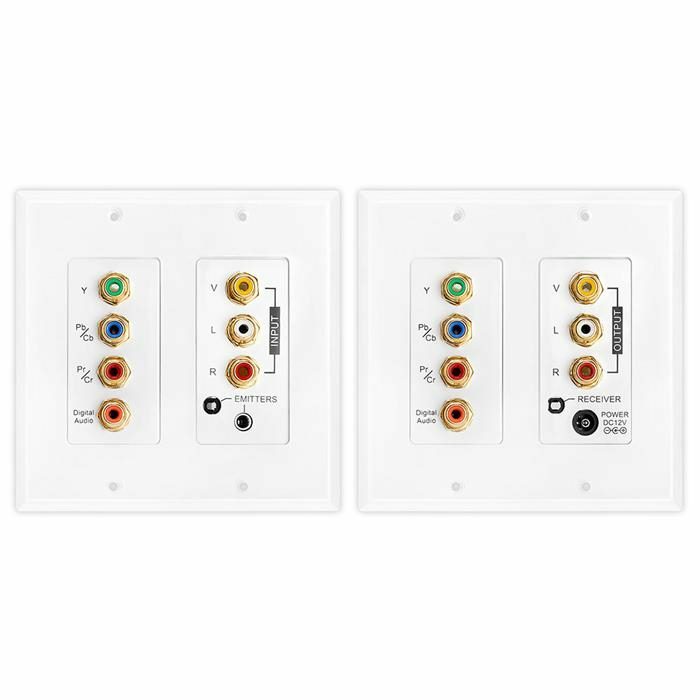 This is ideal for systems where high resolution YPbPr component video signalsalong with Digital or Analog audio signals must be transmitted long distancesto your display. IR System Overview: An infrared (IR) extender system enablesyou to control your IR remote controlled A/V equipment from a remote location.This enables you to place your A/V components out of sight (behind cabinet doors,in the rear of a room, or in a different room) and still conveniently controlyour equipment. 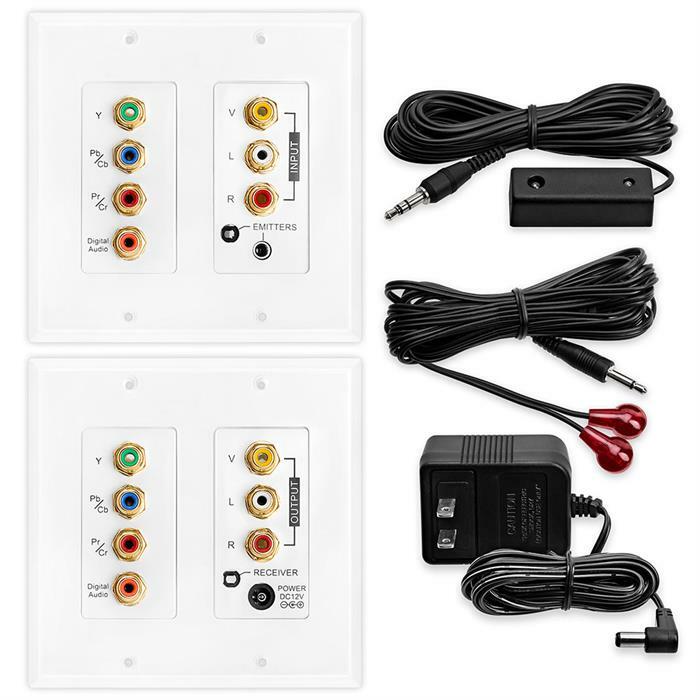 Some cable boxes like the SA HDTV DVR's and DirectTV H21 use a higher frequency. 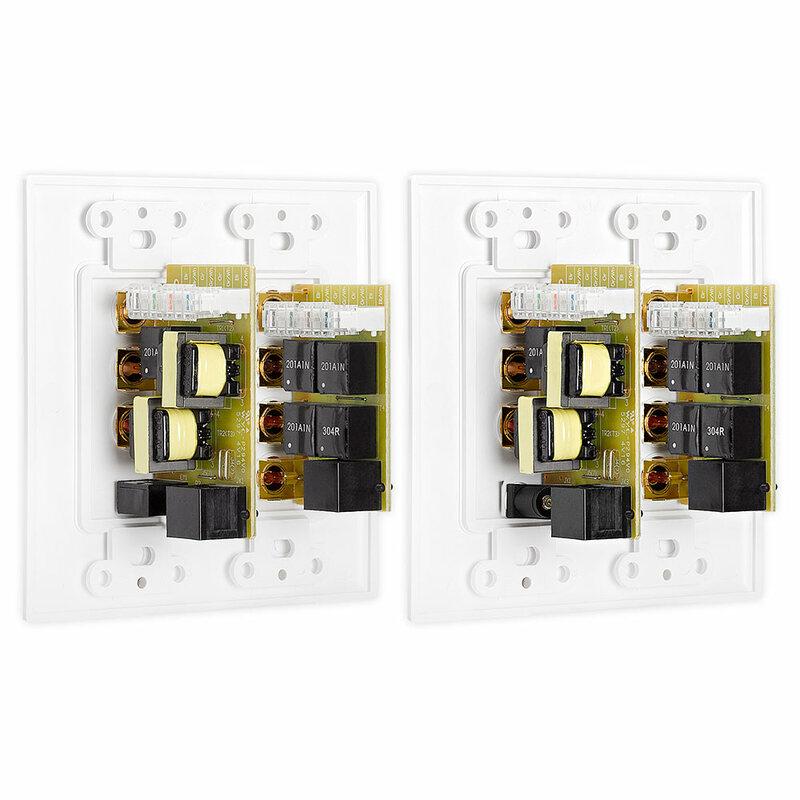 We would recomend adding the Dual Frequency IR Receiver. 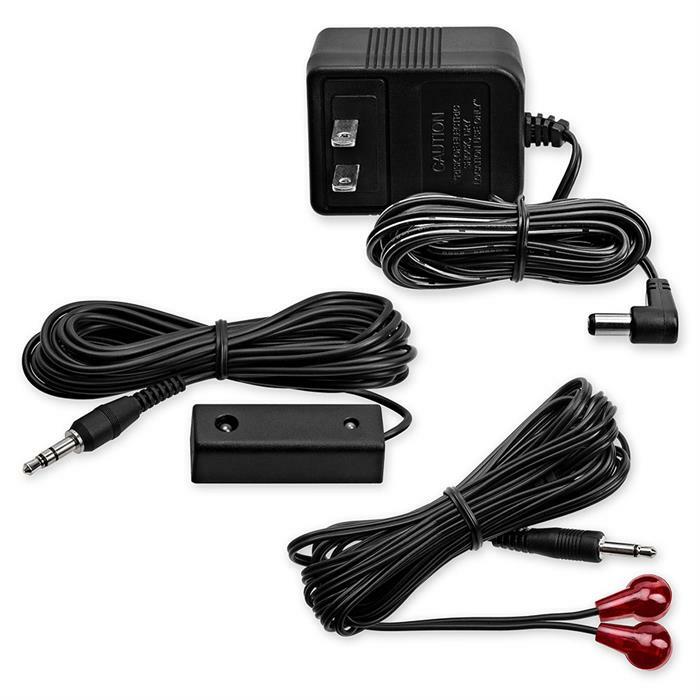 Replace the IR Receiver that comes with the original IR System to the Dual Frequency IR Receiver!